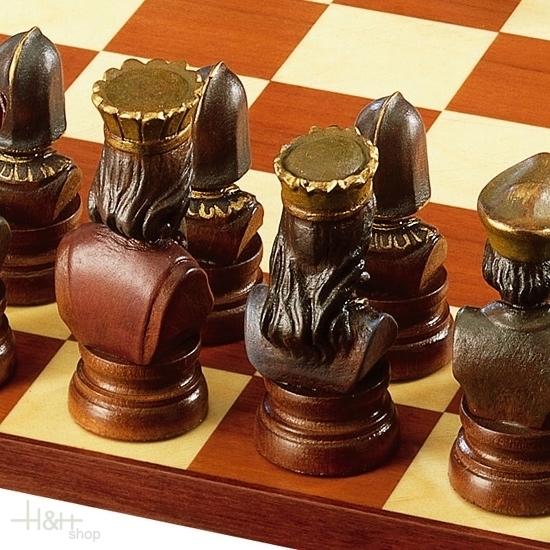 Very beautiful wood carved chess-set with the theme of the warriors. 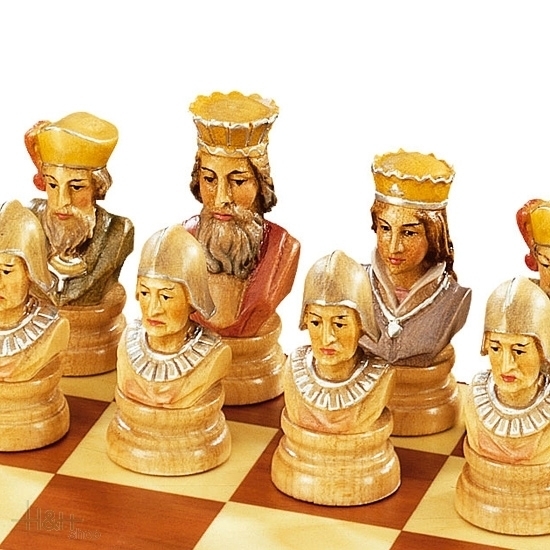 The pieces of the chessboard are busts of warriors: while pedestrians look alike, great attention has been given to the figure of the king, queen and bishops. 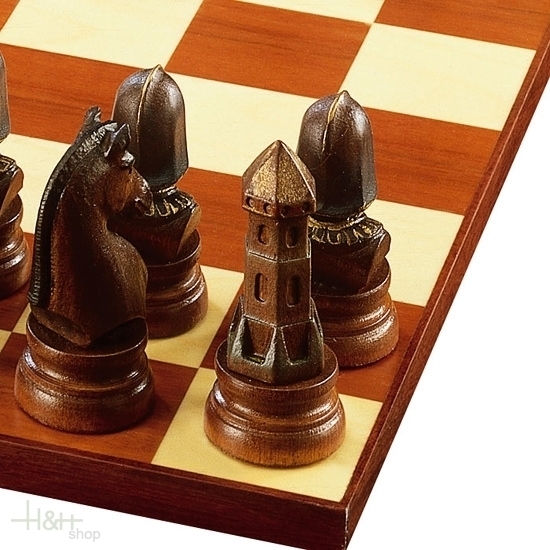 The lovers of the game of chess and collectors of chess figures and chess sets will find on Dolfistore.com various sets and collections of wooden chess figures and sets and chess sets carved in wood. The sculptures are carved and hand-decorated, with attention to detail, to make every statue of the chess, a valuable piece. 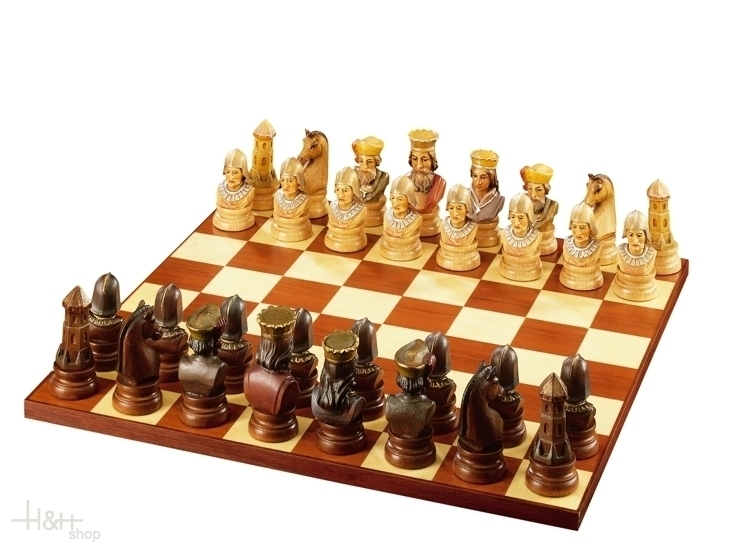 This chess set contains 32 chess figures and will be shipped without chess board. Dimensions of the sculptures: 10 cm.